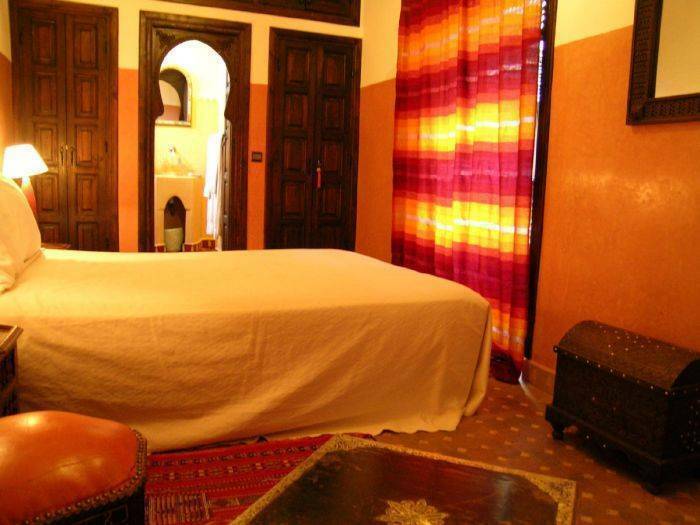 It is a typical Arabian house in the heart of the medina in Marrakech. Dar Tuscia opens the doors to you in family and warming rooms, a small peaceful and softly coloured oasis contrasting with the bustle of the souks that you meet while walking through the narrow streets you find just out the door. 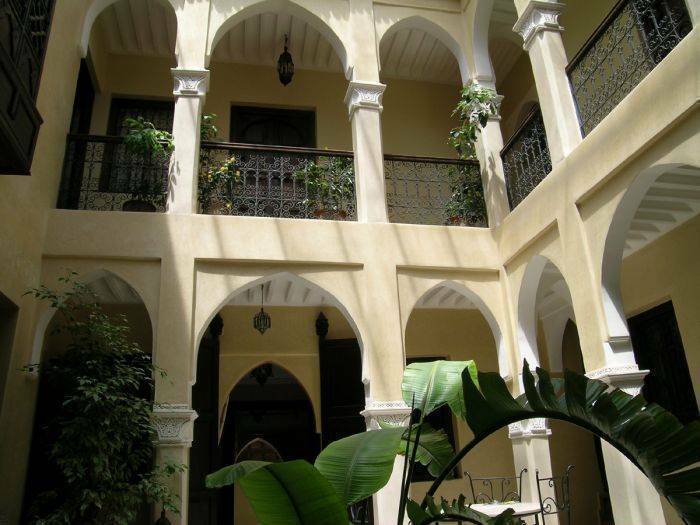 The riad can host 12 people, is located around a green patio, ideal place to relax on comfortable sofas and have a cup of tea after a busy day spent in the medina. � Patio � Terrace � Solarium � Hammam � Massages � Iternet Wi-Fi - Laundry � Baby sitter � Restaurant � Airport transfer. 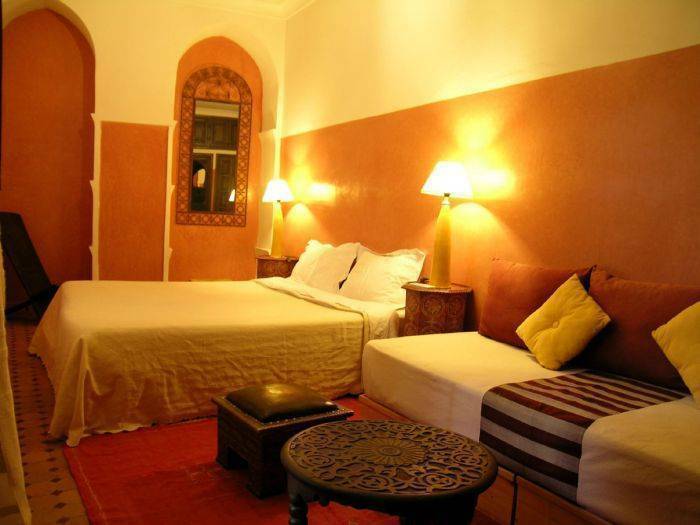 Situated in the ancient quarter of Bab Doukkala, it is 15 minutes from the famous square Jamàa El Fna, 10 minutes from the gardens Majorelle and Guélize ( the new town ). A parking site is 300 metres far. -Room Bahja: on ground floor, can host 3 people, with a double bed and a single bed. Air-conditioning, safe box and bathroom in tadellakt. 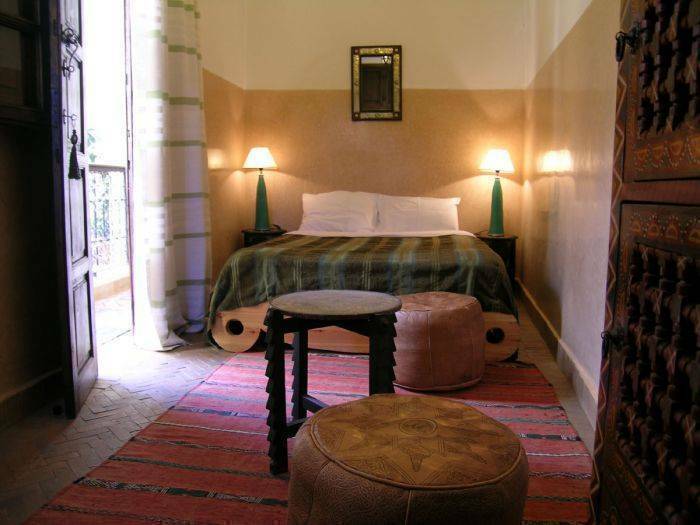 -Room Marrakech: on the first floor, with a double bed or twin, air-conditioning , safe box and bathroom in tadellakt. 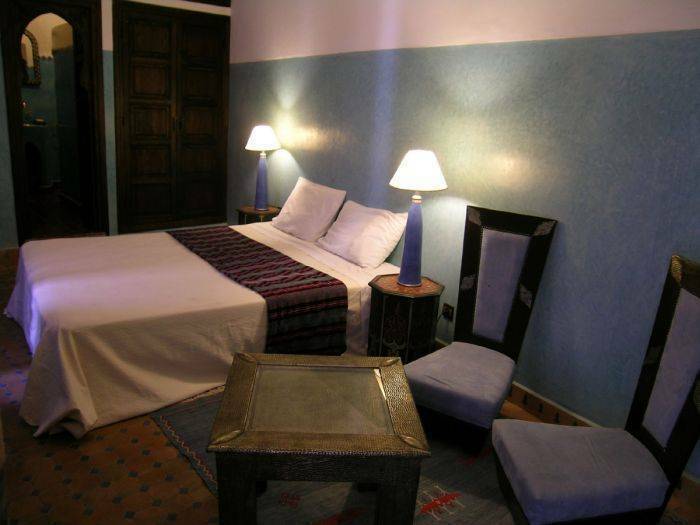 -Room Essaouira: on the first floor, with a double bed or twin, air-conditioning safe box and bathroom in tadellakt. -Room Sahara: on the first floor, with a double bed, air-conditioning safe box and bathroom in tadellakt. 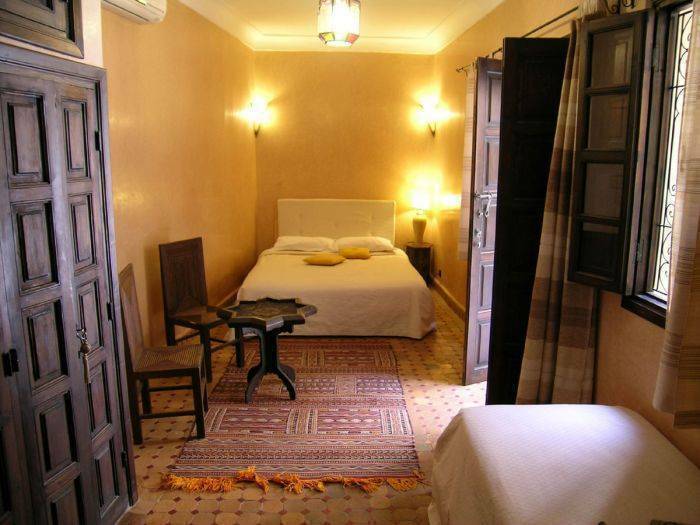 the Riad is situated in the center of the old city, the medina of Marrakech. - From the airport take direction Bab Doukkala. Arrive in bottom of the parking of the "grands taxi", behind the bus station of Bab Doukkala. Enter by Bab Yacout and take the first on the left. Arrived in bottom of the minor road, after a small place and behind an arc you find the wall of Dar Tuscia. The entry is behind the corner on the right. Nearest airport: Marrakech Menara, distance 7 Km.